What Hair Loss Solution is Right for you? Take one look at just about any magazine cover, and you will agree the whole world has gone beard crazy. From rock stars to sports giants and movie icons, men these days all seem to be sporting facial hair. Rugged goatees, sleek and trim beards or bushy beards that are the envy of every would-be lumberjack, facial hair has made a mark on popular culture. But what about those guys who can’t seem to get their beards to shape up to the competition? Time to consider a facial hair transplant. Thankfully, recent developments in technology have made beard transplants much quicker and simpler for those who wish to grow full and thick beards. What Causes the Lack of Facial Hair Growth? 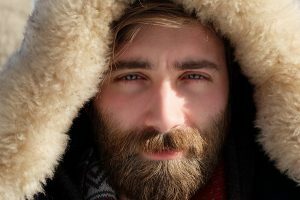 A popular misconception is that the ability to grow full, thick beards is a sign of manliness and virility when in fact that is not the case at all. The ability to grow facial hair is based on genetics. Development of facial hair is regulated by testosterone during the teenage years but isn’t fully matured until the early twenties. The interaction between hair and testosterone causes it to grow thicker and darker. Though you might think men who can grow a luscious beard would have higher testosterone levels that’s not necessarily the case either. Most mean actually have about the same level of testosterone. That’s where your genetics come into play; how the body responds to the hormone will result in how the facial hair grows. If you are highly sensitive to testosterone, you will have more facial hair. What is a Facial Hair Transplant? A facial hair transplant is a procedure that restores hair to areas where facial hair growth is thin or missing altogether. Anywhere hair is desired, even if it has never grown in the area before, hair can be transplanted on the face. Transplants can also be used to conceal acne or other types of scars. From minor filling in or thin coverage on a limited area to the full restoration of a thick, full goatee or beard, facial hair transplants are a versatile way to achieve your desired aesthetic look. The procedure itself is usually performed under local anesthesia and can last anywhere from three to eight hours. Though some patients may report some itching and mild irritation for the first few days, the procedure is essentially painless. Donor’s hair is removed from the back of the patient’s head using either the FUT or FUE method. Once the donor’s hair has been prepared for transplantation, tiny incisions are made on the transplant site so that the depth, angle, and direction of the transplanted hairs can be controlled. Natural looking hair that blends in with the surrounding beard is the result of meticulous planning and care. Recovery for the donor site is simple lasts only a few days. Any visible scars will depend on which harvesting method was used. Recovery can be slightly longer for the transplant site. For the first few days after your procedure, the transplanted area will need to be kept dry until the tiny scabs on the shaft of the hair fall away. Approximately one to two weeks later, the transplanted hair will begin to fall out. New hair growth will begin approximately three months after your procedure. Facial hair transplants utilize hair harvested from the back of your head, an area that is genetically programmed to resist balding and is, therefore, less likely to thin out later. Facial hair that grows and can be groomed or trimmed will be a long-lasting benefit of this procedure. You can even shave the transplanted area if you desire. Unlike some other cosmetic procedures, facial hair transplants rarely need to be repeated in the same area. As with any procedure, there are a few risks, and most are associated with any standard hair transplant. It is also important to note that once hair has been transplanted to the face, that hair can no longer be harvested for use later on. If male pattern baldness is a concern that you think you might have in the future, facial hair transplants will limit the number of areas you can harvest additional hair for treatment. If you are tired of sporting a smooth “baby” face call Dr. Christopher Varona and schedule a personalized consultation today. Whether you desire a hipster goatee or if a thick bushy beard is more in tune with your inner Viking, facial hair transplant might be the thing for you.